The company marketed plant extract garcinia cambogia using false claims. U.S. regulators announced a settlement with a company it took action against for deceptively marketing a plant extract that it claimed caused weight loss, and whose marketing strategy involved fake positive Amazon reviews. The Federal Trade Commission said it was the agency’s first-ever lawsuit against a company for commissioning fake paid reviews on retail sites like Amazon. (STOCK/Getty Images) The Amazon logo is displayed on screen of a mobile photo in a stock photo. 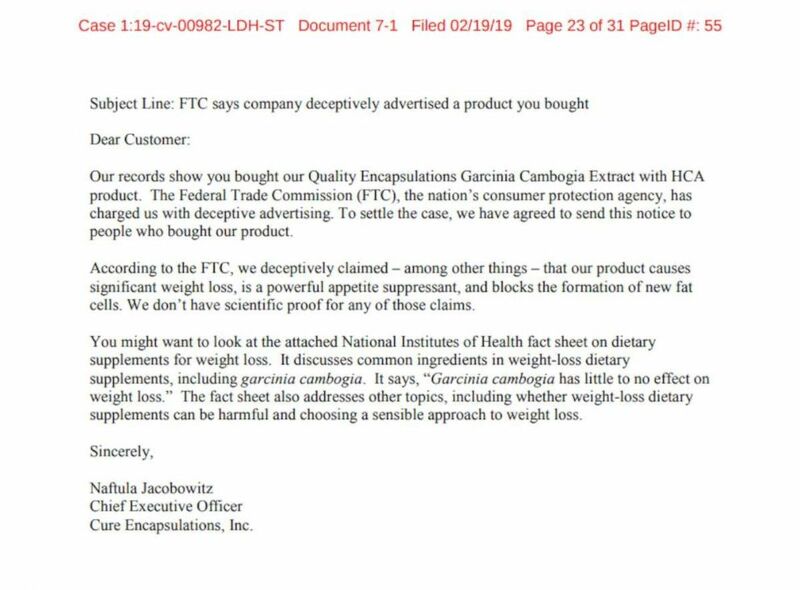 The FTC sued Cure Encapsulations, Inc. and its owner, Naftula Jacobowitz, for "deceptive marketing" claiming that its product, Quality Encapsulations Garcinia Cambogia Extract with HCA, causes weigh loss by suppressing appetite, and blocks new fat cells from forming without any scientific proof. 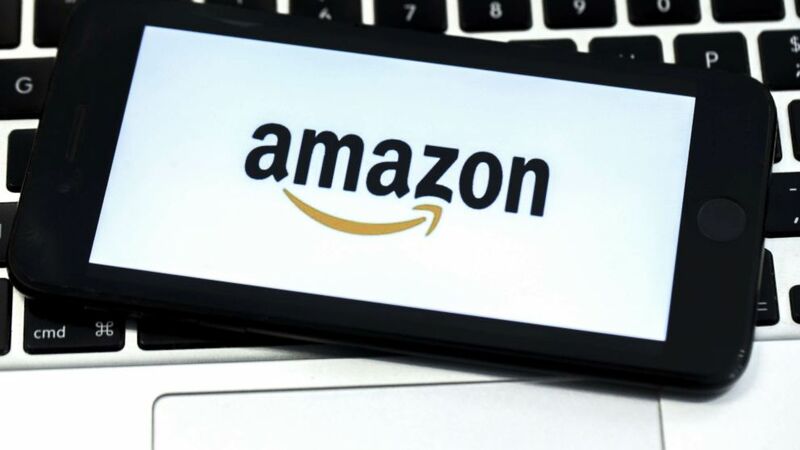 The suit also alleges that the company used a company called AmazonVerfiedReviews.com – which no longer exists -- to write fabricated reviews and give the product 5 stars. The FTC claims that Jacobowitz told AmazonVerfiedReviews.com that the extract needed an average rating of 4.3 out of 5 stars, saying, “Please make my product … stay a five star,” according to the agency's press release. A lawyer for Cure Encapsulations said there have been no false reviews since June 2015, and any fake reviews have been taken down. "There [is] no misconduct after that date -- no more false reviews -- and all have since been removed," August Horvath, a lawyer for both the company and Jacobowitz told ABC News. Garcinia cambogia, a fruit native to Indonesia, has been heavily marketed for its weight loss abilities across different media platforms. As part of the settlement with the FTC, which was announced Tuesday, Cure Encapsulations is required to send emails to all of its customers, stating, "According to the FTC, we deceptively claimed -- among other things – that our product causes significant weight loss, is a powerful appetite suppressant, and blocks the formation of new fat cells. We don’t have scientific proof for any of those claims," according to a filing with the U.S. District Court for the Eastern District of New York. (FTC) Letter to consumers who purchased Garcinia Cambogia through Amazon. Amazon shut down Cure Encapsulation’s ability to sell its products on its platform on Tuesday after the FTC announcement, Horvath said. The settlement was originally signed by the company in October, and was finalized last week, delayed in part by the government shutdown, he said. But because Amazon has stopped sales for the product on its platform, and the business is "basically an Amazon storefront," Hovarth said the future of Cure Encapsulations hangs in the balance. "We’d like to work through Amazon in good faith to get it resolved,” he said. In 2016, Amazon sued AmazonVerfiedReviews.com, and the company has since gone out of business. Amazon, which has been battling the cottage industry of fake reviews, commended the FTC lawsuit. The retail giant has been criticized over the credibility of customer reviews as the number of third-party sellers using its platform has skyrocketed, creating opportunities to exploit the review process. "We welcome the FTC’s work in this area. Amazon invests significant resources to protect the integrity of reviews in our store because we know customers value the insights and experiences shared by fellow shoppers,” an Amazon spokeswoman wrote in an emailed statement to ABC News. “Even one inauthentic review is one too many. We have clear participation guidelines for both reviewers and selling partners and we suspend, ban, and take legal action on those who violate our policies."